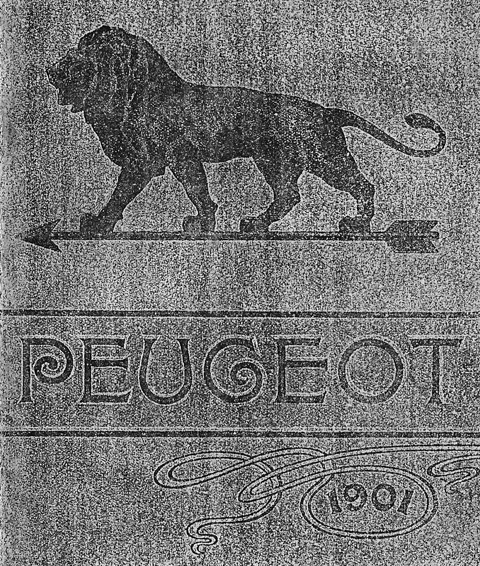 This bicycle was manufactured when Peugeot was still located at their original manufacturing plant, in Valentigney (above). 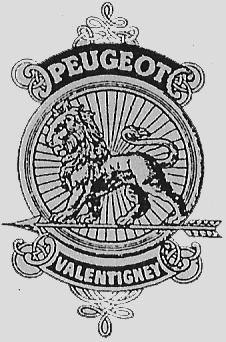 The Valentigney badged machines are the most valued by collectors. 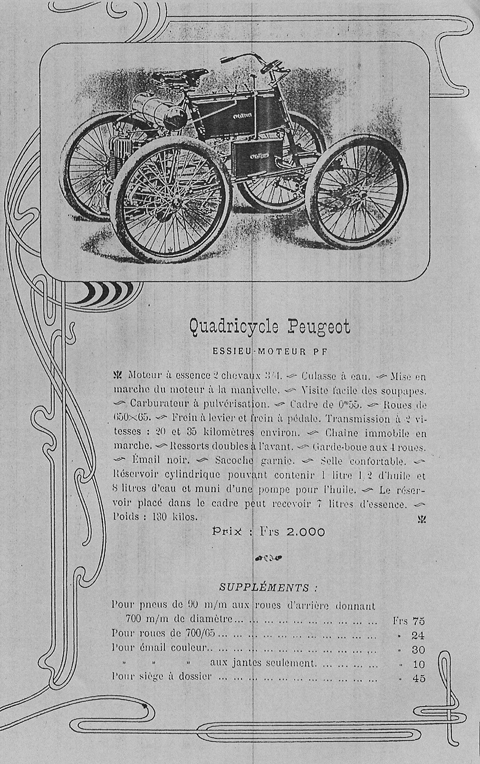 Peugeot was a leading cycle manufacturer from the 1890s onwards. 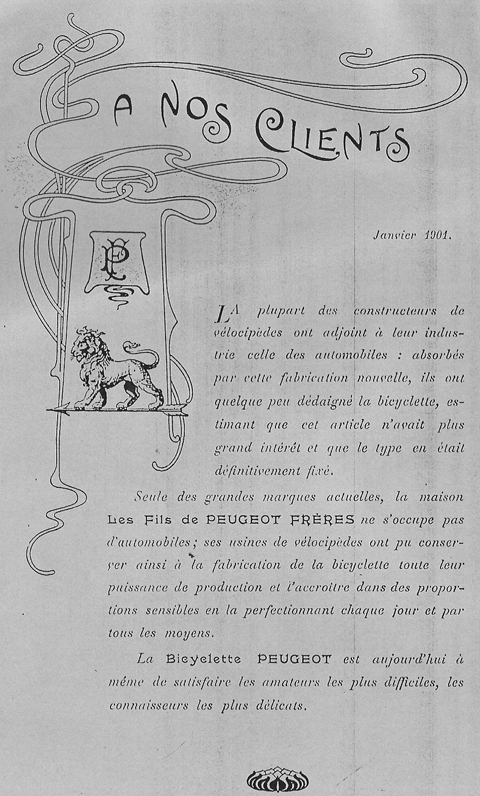 Their cycles were built with quality in mind and components, made by the company themselves, were innovative. 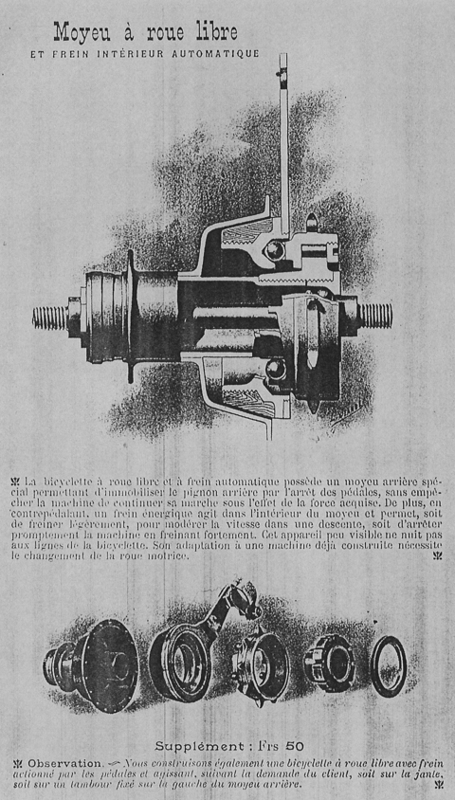 Observe the early French-licensed Bowden rear brake on this machine, which came onto the market in 1899. 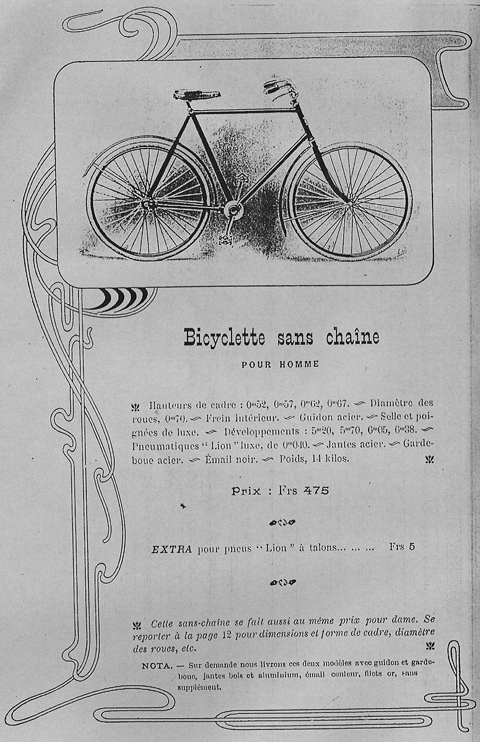 Like other French bicycles of this time, the chainwheel is inch pitch. 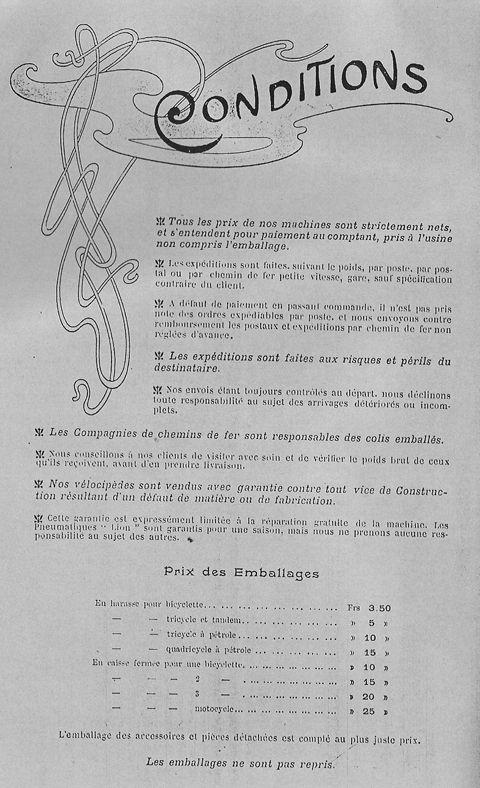 This five circle chainwheel means it is the company’s ‘Bicyclette A’ model, made both in ‘Course’ trim with dropped handlebars, and also with mudguards and wide handlebar fitted with front plunger brake for the road-racing model. 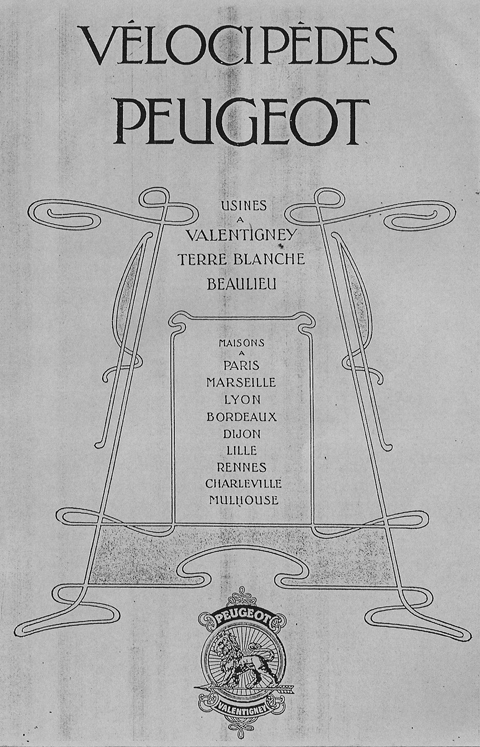 All its components are original, such as matching rat trap pedals, cork grips, Peugeot named saddle. 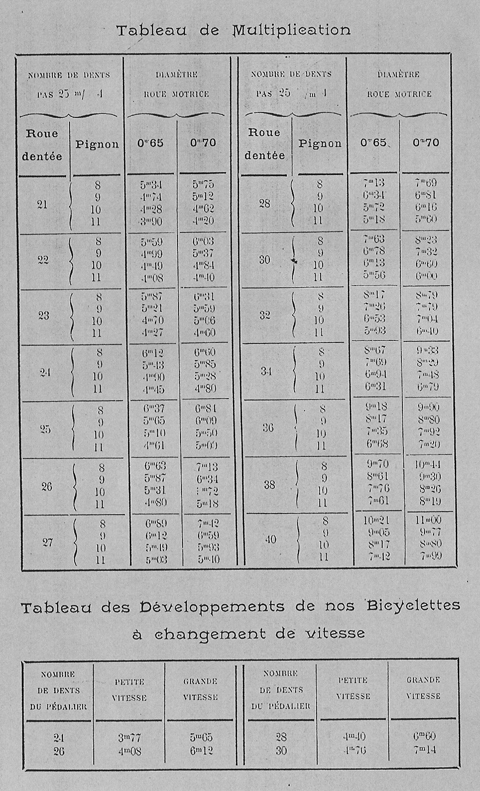 But the original wooden rims were warped, so I bought and fitted Italian Ghisallo wooden rims – at considerable expense, and using the original Peugeot hubs – to provide a lightweight machine suitable for serious long-distance riding. 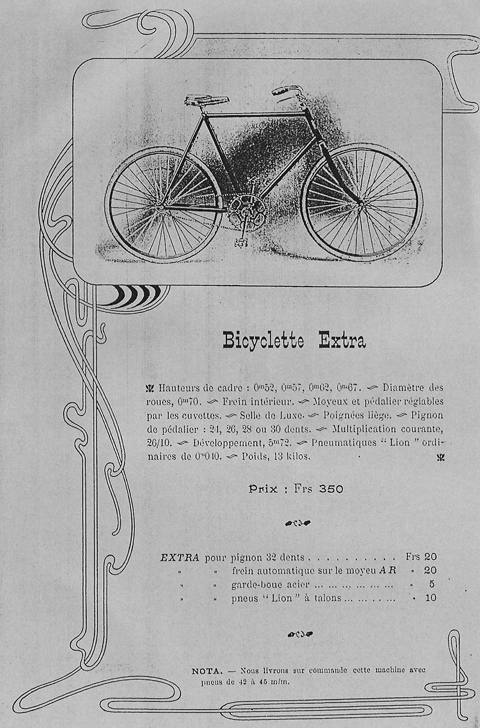 The 1900 illustration above has the same chainwheel as this bicycle; while the illustration below, from 1898, has an earlier chainwheel but the same handlebar and front brake as the bicycle featured here. I’ve not seen an 1899 catalogue illustration of this model, but being between the 1898 and 1900 versions pictured, I’ve assumed it to be from 1899.